For four chairs you need…. 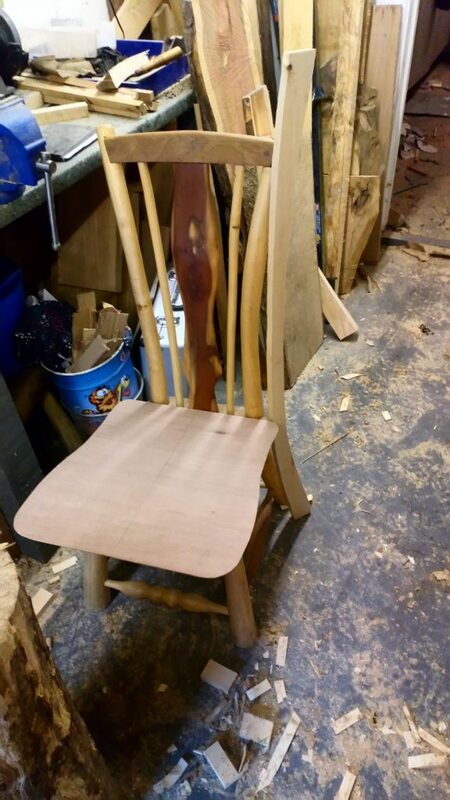 Since starting Little Acorn Furniture last year I have completed a number of commissions for bespoke pieces of furniture ,but my biggest challenge (and the most rewarding) came this summer when I was asked if I could complete a set of four dining chairs. The design was to incorporate elements of all four of the chairs that I had on display and would be unlike any I had made before. The key to green woodworking is to allow the material to dictate to a certain degree how the finished piece is assembled and how it ultimately appears and functions. Is it therefore possible to make four items that appear the same whilst having the individual feel and appearance of green wood furniture? After discussing and deciding on the precise materials (in this case, oak, ash and yew) we then had to establish that although they would be of the same dimensions and basic appearance, the four chairs would each be unique. Each chair I have ever made has, like all green wood projects been a process of experimentation and developement. Each one yields new techniques which I carry forward and adapt and also ideas and methods that fall by the wayside or are put to use elswhere. With this in mind I spent considerable time playing with dimensions and jointing methods, not only did they have to meet the specification but I needed an approach that could be reliably replicated with suitable accuracy. Not easy given the potential variation in the material. Initial templates of the curved back and seat modeled against one of my earlier chairs. Templates were produced for the key elements that would allow me to reproduce the components. I then had a list of materials, dimmensions, and shapes so I set about sourcing the materials. Over the remainder of the summer I was able to find all the timber from within a few miles of Chagford. 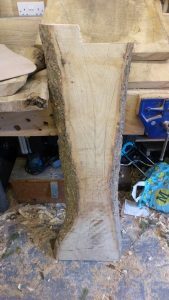 For the all important seats and curved back I found seasoned oak and ash from Jim White who had felled and processed the trees himself. The yew became available from Castle Drogo when they uncovered drawings of the formal garden that showed the original layout of the yew hedge and removed several feet of mature hedgerow. 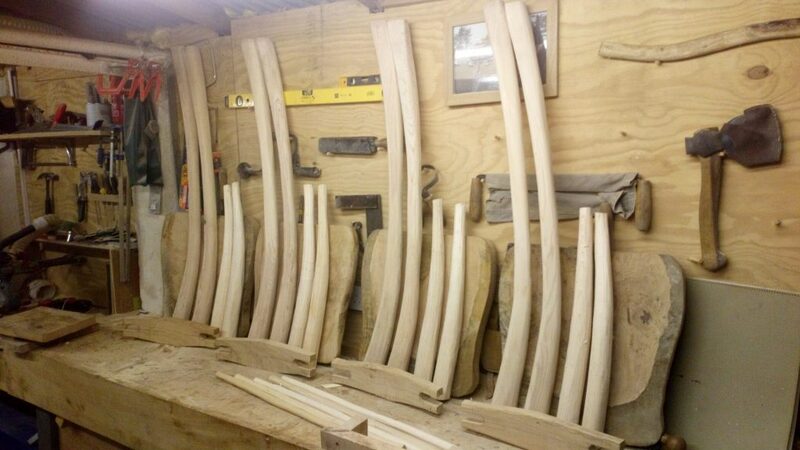 The ash for the front legs had to have a natural curve that matched the curve in the back legs. 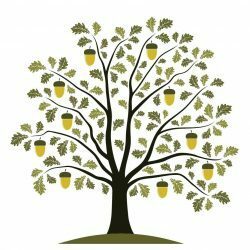 After considering several trees, I came across one in a woodland that I was working in for the Duchy of Cornwall. The trees on this site are being thinned and coppiced to promote ground flora and allow access for further management. So I eventually had, in theory at least all that I needed. 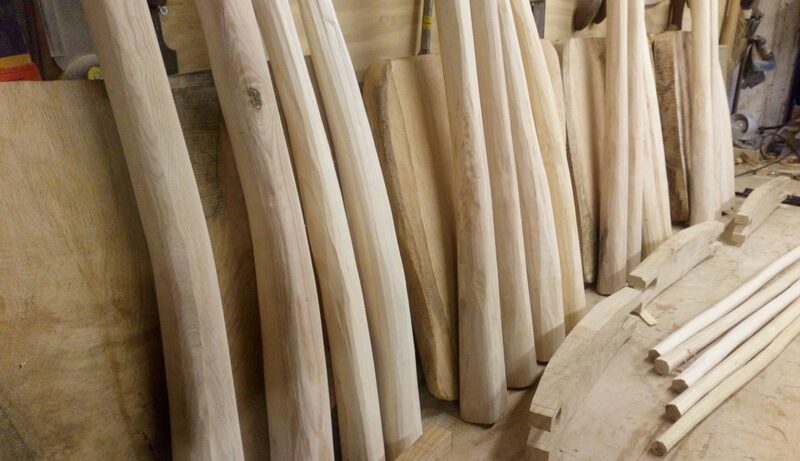 Yew, ash and oak ready for shaping, is it enough for four chairs? Using my templates the seasoned wood was roughly cut to shape with a band saw, and then the green wood was cleft and side axed to shape. Only once this was done could I be sure that I had the correct amount of suitable timber for all four chairs. After much chiselling, drawknifing and shinanigans it started to look like this might actually work. The principal componnets were all shapped and ready for assemble. This is the point at which each of the chairs began to develop its individuality. Despite my best efforts the components were easily grouped into four distinct sets, each with taper, curve and sizes that matched as closely as possible to each other. All of a sudden I was make four similar but distinct chairs not just producing matching sets of components. At last four sets of legs and seats and other components, similar but not exact copies! Now to the next challange, how to assemble these components in a way that could be replicated. 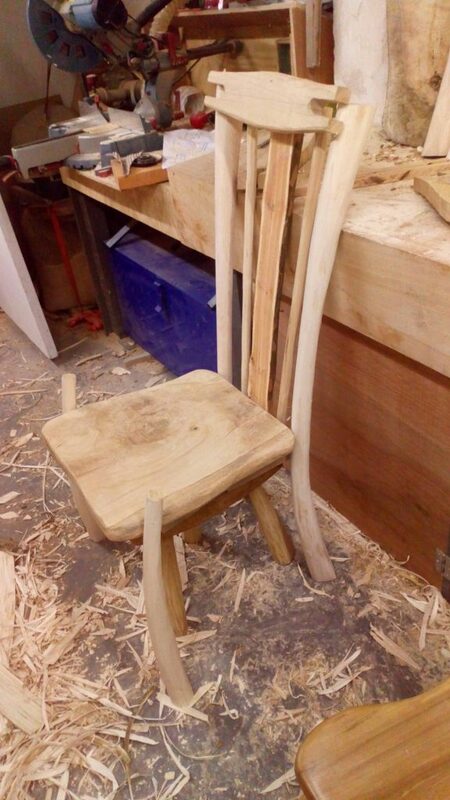 The angle of the seat, the back, the splay of the legs and the curve of the comb all had to be correct. 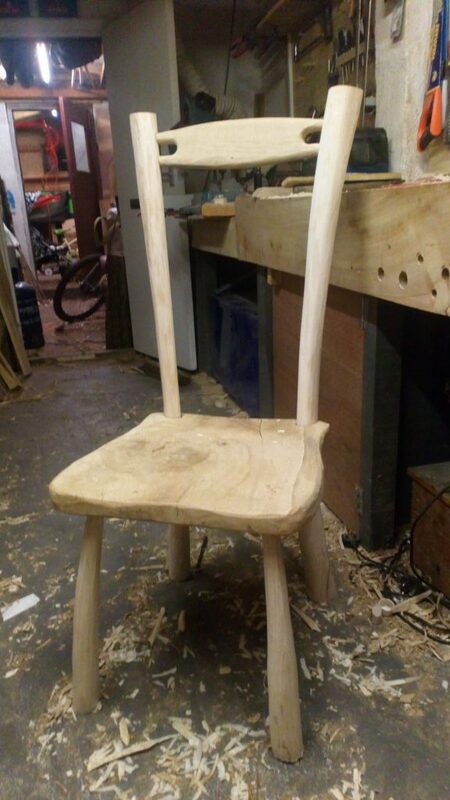 Experimenting with the assembly, at least it looks like it might one day be a chair, or four! Several mockups were made using plywood templates and scrap wood until I was happy that the chairs would actually be comfortable to sit in and good enough to eat from. It was then time for a deep breath and set to work on one of the actual seats. 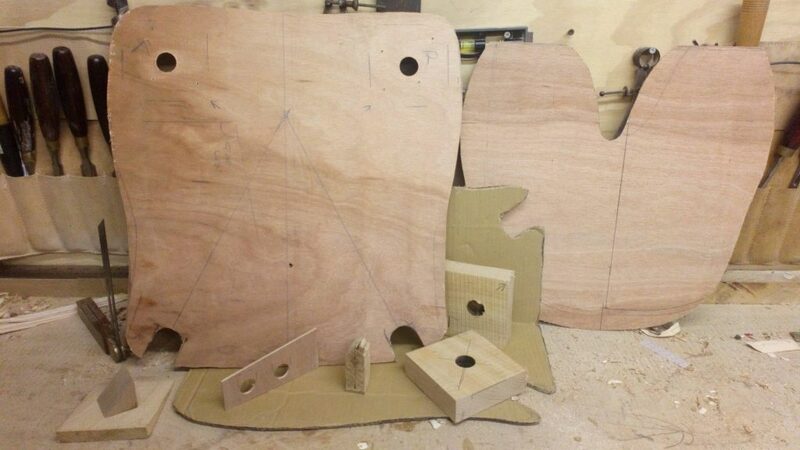 Some of the templates used to determine and replicate the principle joints and angles. Progress to date, no turning back from here! And here we have the story so far. The legs are jointed and the comb fitted. This is the most critacal stage and fitting the other components (a further nine parts are requied to complete each chair) will provide comfort and structual stability but will not alter the design which is now set in stone, or wood. 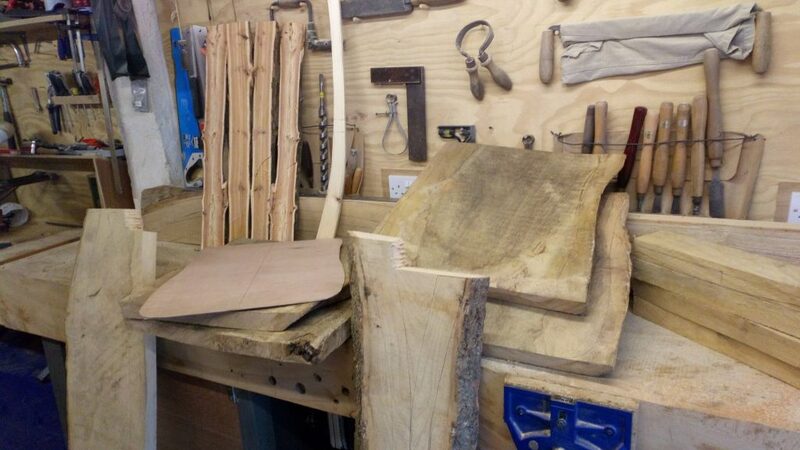 Brilliant – they’re already looking good – that Yew will be magnificent when its finally finished. A great read, and great photos – someone is going to be very happy with those! Thanks Jason, sorry it has taken me so long to reply. I will have one of these chairs available to look at on the course, but the pattern we use may be a bit less complex. 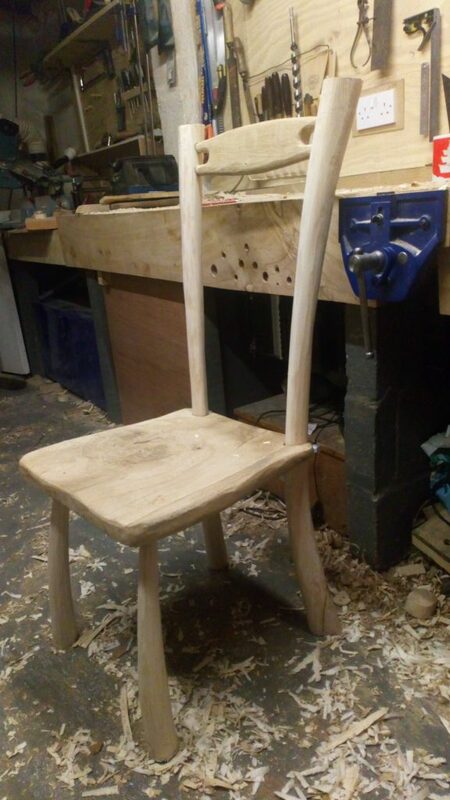 You could start collecting and sending me ideas of things you would like, and we will make sure your chair is unique and personal to you, as all hand made chairs should be. Next PostNext One of Four!